The third installment in a popular action-adventure game series for kids, set in an expansive universe of films and cartoons of The Walt Disney Company. 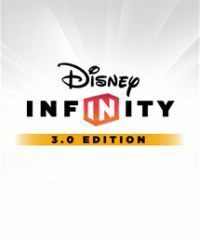 Disney Infinity 3.0 for PC, PS4 and etc. is the next installment in the arcade game series featuring collectible figurines. The title is a direct competitor of productions such as Skylanders or LEGO Dimensions. The project is the effect of collaboration between several studios – Avalanche Software, Ninja Theory, Sumo Digital, Studio Gobo and United Front Games. As usual, the figurines we got with the starter kit or purchased separately to need to be transferred to the virtual world using a special reader. Then we take our characters on various adventures that play out in different fictional universes. Disney Infinity 3.0 introduces five worlds – three from Star Wars (one from parts I-III, one from parts IV-VI, and the third one based on the movie Star Wars: The Force Awakens), one associated with the animated film Inside Out, and an additional Marvel world featuring Iron Man in Hulkbuster armor, Ultron, and other heroes known from Marvel movies and comic books. In addition, some improvements to the Playground were introduced, allowing us to participate in two multiplayer games – Toy Box Speedway (kart racing) and Toy Box Takeover (action adventure game). Among the new figurines we can encounter various Star Wars characters (including Ahsoka Tano and Anakin Skywalker), as well as original characters from The Walt Disney Company, including Mickey Mouse, Minnie, Mulan, and Olaf. It’s also worth remembering that all the toys and power discs from the series' previous installments are supported by Disney Infinity 3.0 on PC, PS4 and etc.. The production features cartoon-style graphics, well-known to the fans of the previous games.